Oh my goodness, everyone, I am so unbelievably happy today. Yesterday, with some help from my dad, I pulled together the famed holiday dessert – The Buche de Noel. I have been documenting my progress the past two days, but yesterday was the day… cake baking and dessert assembly (and eating!). The cake is a standard sponge cake and starts with a combination of eggs, egg yolks, sugar, and a little salt that is whipped on a double boiler until the mixture reaches 100 degrees. Then the egg mixture is removed from the heat and whipped some more on high speed until the mixture becomes twice its original volume and has cooled. When the mixture has been cooled, then the dry ingredients (cake flour and corn starch) are sifted into the mixture and it is all folded together. The batter is poured into a high-sided cookie sheet (or jelly roll pan) and spread out with a spatula. Bake for about 13-15 minutes until the cake is just set in the middle. Then turn out the cake onto a work surface to cool and stand back and do a happy dance that you have successfully made almost all the elements for the Buche de Noel. So, make another cake and then make sure you stand watch as it cools so that thieving cats don’t eat your second attempt. Now, it’s all about the assembly! To make the mushrooms, dab a little room temperature ganache on the bottom of a mushroom cap. And gently push in the stem until it becomes anchored in the ganache. And viola! A meringue mushroom! For the Buche de Noel itself, brush the cake with a spiked simple syrup (equal parts water and sugar brought to a boil, cooled, and spiked with an equal part of rum!). To make spreading the ganache easier (and to ensure you spread it evenly), I put big blobs of ganache all over the cake and spread with an offset spatula. I totally spaced and didn’t take pictures of how to roll a jelly roll, but here is a pretty good tutorial video from Martha Stewart. I rolled my cake along the long-side, which provides a better sized piece of cake (this dessert is very rich so a little goes a LONG way!). … and placed it onto the middle of the log! Then frost the log like you would a regular cake… or as my dad put it, like you spackle a wall. Whichever analogy works for you! Then artfully arrange some meringue mushrooms around your Buche de Noel. And stand back and admire your work! 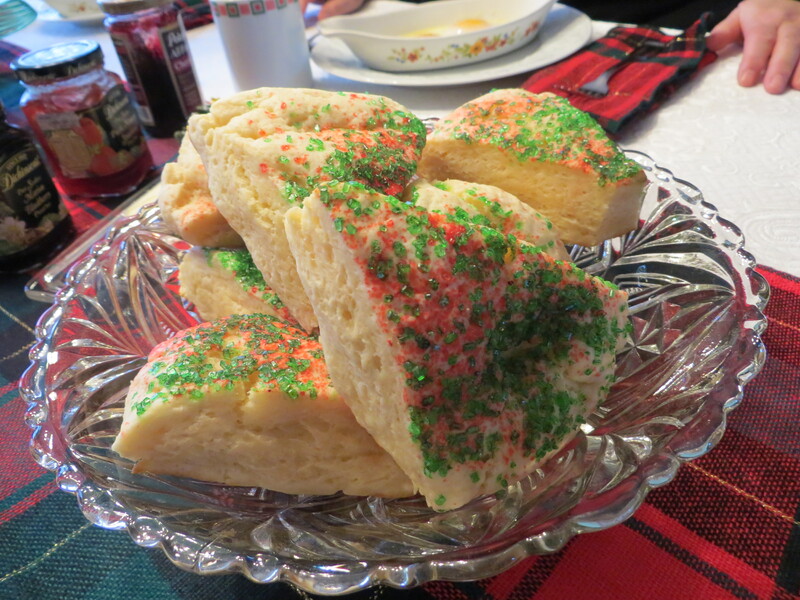 This was a great Christmas baking challenge and I am so pleased with how it all worked out. I can’t wait to try again next year! PS – I used the Buche de Noel recipe from Chocolate: From Simple Cookies to Extravagant Showstoppers by Nick Malgieri. Hey kiddos! How are you? I hope you are having a wonderful holiday season, whether you are in the midst of celebrating Hanukkah or prepping for your Christmas or Kwanza celebrations!! It is four days until Christmas and I am not prepared at all. My room is not clean. My family’s gifts are not wrapped. My outfit for church on Christmas Eve is not picked out. My contribution to the family holiday dinners is not planned out. Despite not having these tasks finished, I have accomplished some important things these first three days of my holiday break. I have lounged on my couch for approximately 6 hours each day. I have been able to wear my sweatpants and t-shirts whilst lounging on said couch. I have watched approximately 8-10 made-for-TV holiday movies (so much holiday drama and wonderfulness!). Despite my absolute laziness this weekend, I actually started on my family’s Christmas dessert! 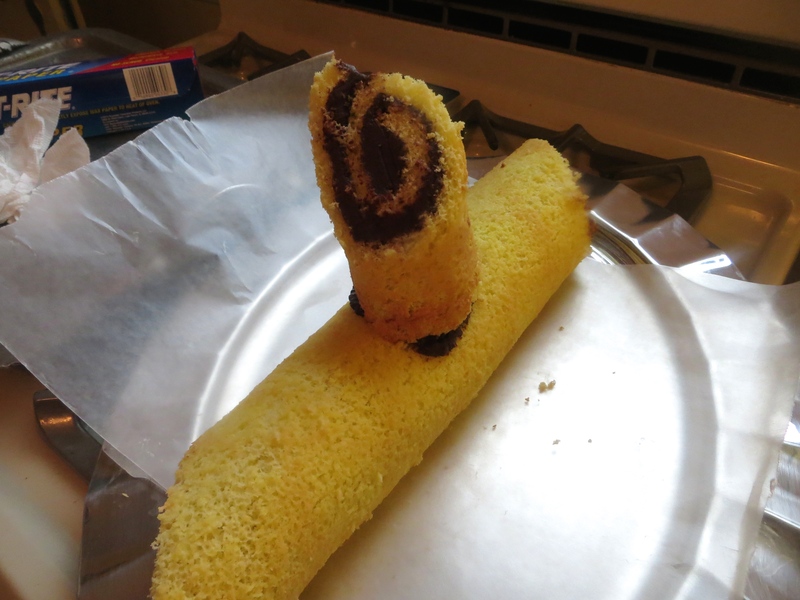 I decided to challenge myself this year and make a Buche de Noel, AKA a Yule Log! It is the first time that I will be attempting this creation, so I will be documenting my journey (success or failure) for all to see. I have never been so nervous and excited at the same time. I started on the accessory component of the Buche de Noel yesterday… the meringue mushrooms. These little cookies are the accompaniment to the actual cake, but they also serve as a dessert for your guests who don’t like cake or want a mostly chocolate-free dessert. Meringues begin with three egg whites in the bowl of a stand mixer and beat them on medium speed. 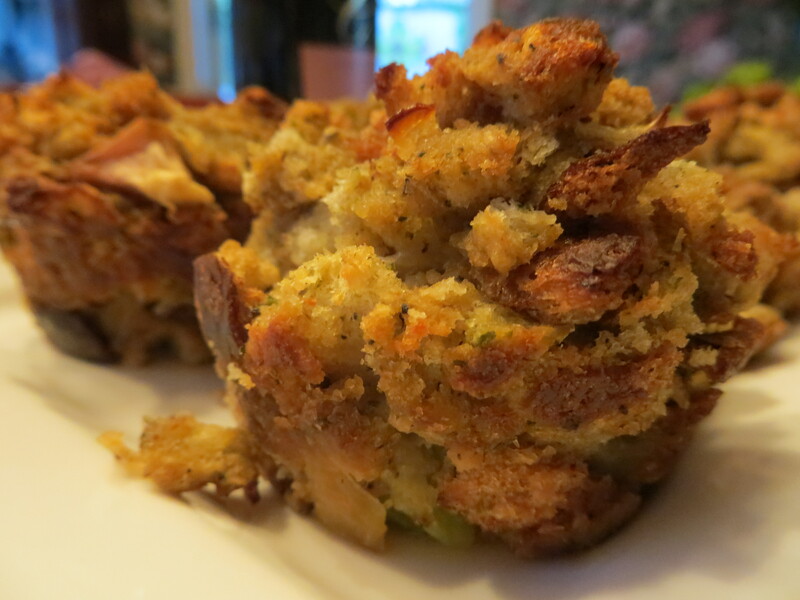 You can use a hand mixer, but your arm will get tired! I didn’t take the photos of the sugar additions (my bad! ), but it is pretty simple. When the egg whites reach the soft peaks stage (when the egg whites make a small peak that flops over onto itself), slowly begin adding in 6 tablespoons of sugar. 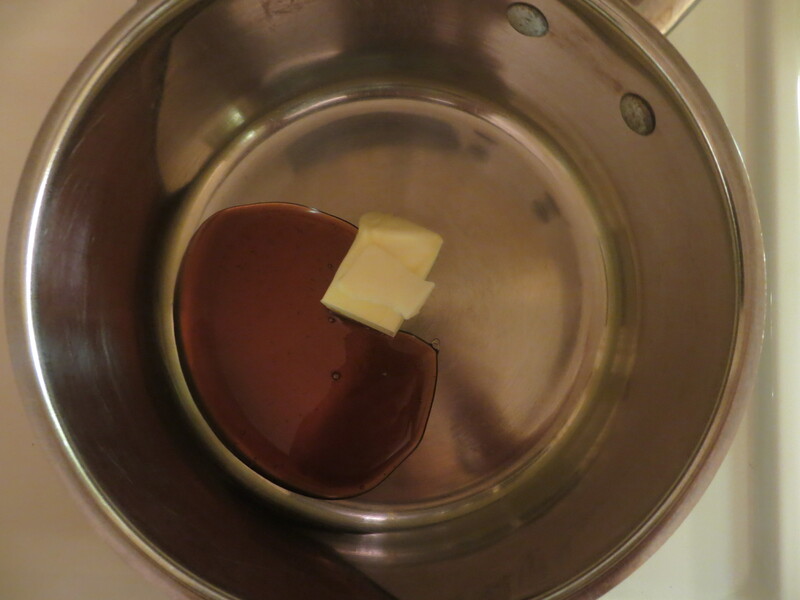 Kick the mixer onto high speed and beat until the mixture becomes stiff but remains glossy. 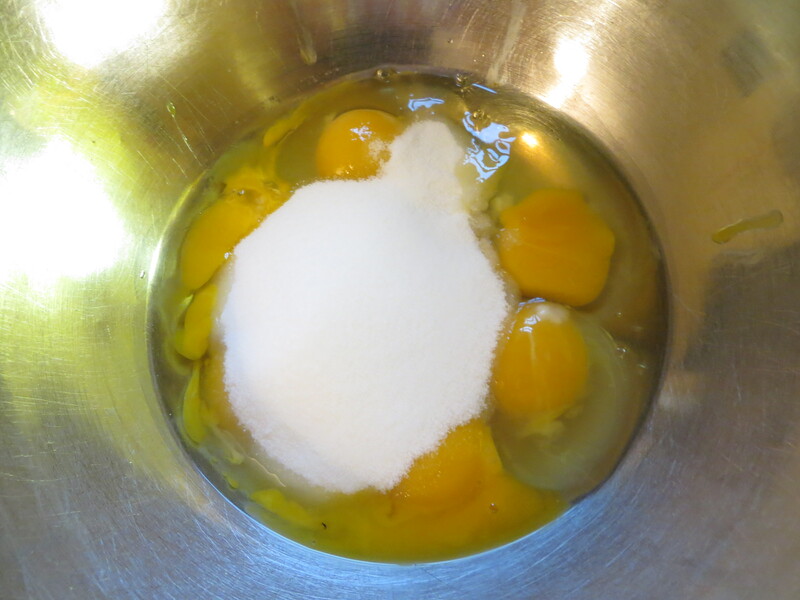 Then add in an additional 6 tablespoons of sugar and carefully fold it into the egg whites. Now it’s time to pipe the mushrooms! You need 2 parchment-lined cookie sheets, one for the mushroom caps and one for the stems. Pile half the meringue into a piping bag with a #6 round tip… or in my case, a zip tip baggie with a #6 round tip. No mess to clean up! The mushroom caps are simple to make. Pipe the meringue onto the cookie sheet until a circle 1½”-2” in diameter is formed. When you made your circle, pull the piping bag to the side to avoid making a little point on top of the mushroom caps. If you make a little point, just dip your finger in some water and pat it down. No harm, no foul. The stems are a little more complicated. Pipe a little meringue on the parchment. Then with steady pressure on the piping bag, pull upwards to make the stem (about 2” high!). Tada! Make sure you keep the point on the stems… they will be needed when we assemble the mushrooms. Since these are mushrooms that grow in the ground, they need a little dirt on them! Some cocoa powder sprinkled over the tops add a whimsical touch! The meringues are baked at 250 degrees for about 45 minutes. Since I made them ahead of time, I popped them into a Tupperware container in a cool, dry place until I assemble them tomorrow! I can’t wait to see how it all turns out. So kiddos, what are you up to? 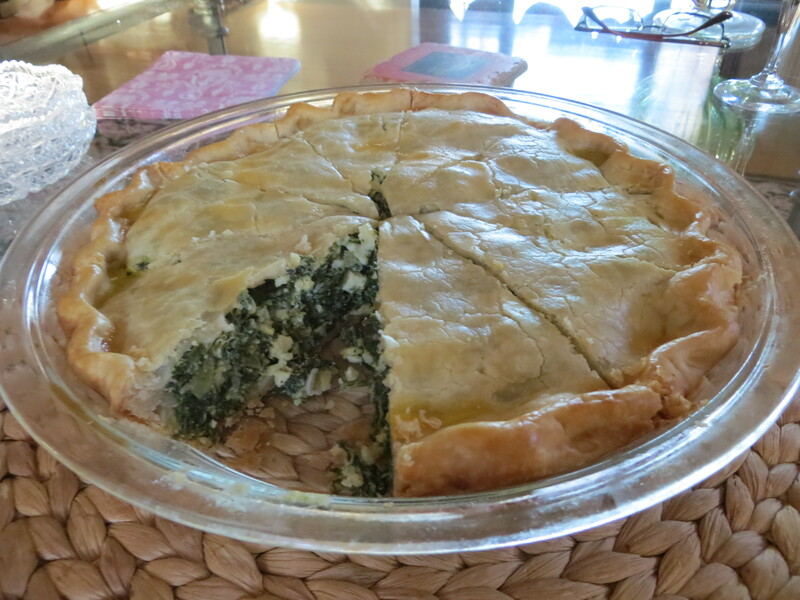 Are you making a big fancy dish for your family and friends to enjoy? I would love to hear all about it! 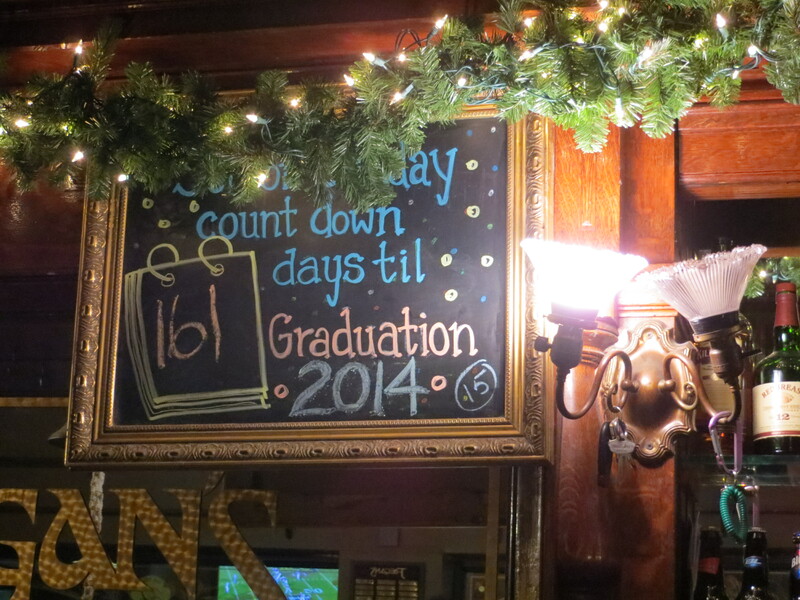 As much fun as New Year’s is, it is sad to see the holiday season come to a close. My mother cries every time we pass a Christmas tree on the side of the road – she doesn’t realize that our tree is destined for the same fate in a few days. 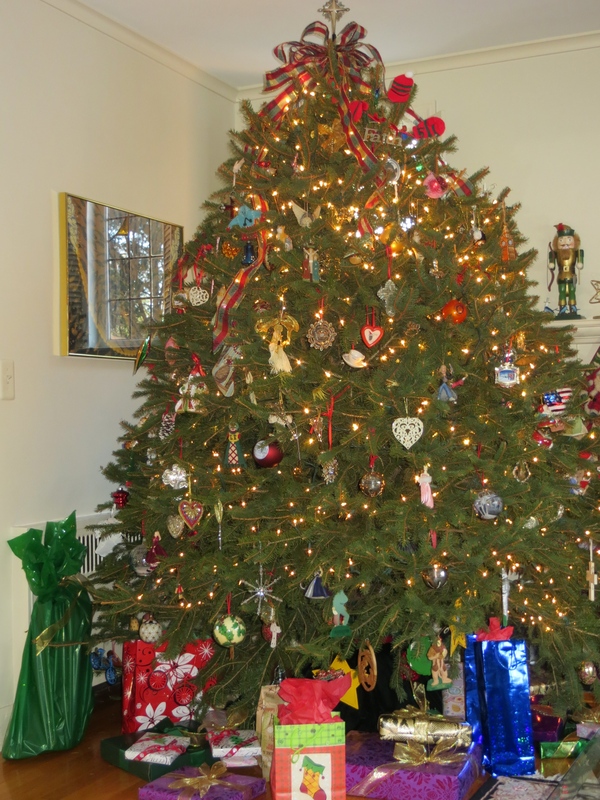 Since our tree is HUGE, we were able to stick approximately 534.5 ornaments on the tree… which means that 534.5 ornaments need to be taken off the tree and put away. Not awesome. 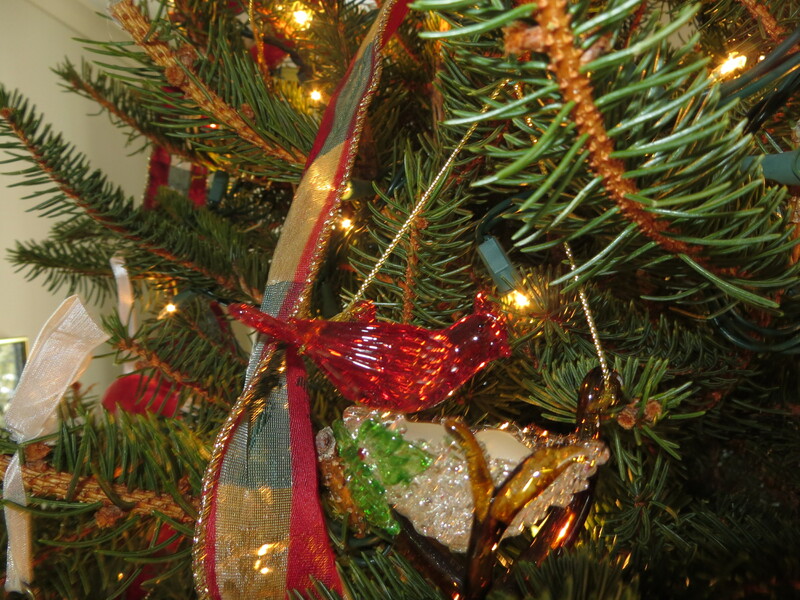 But it gives us time to reminisce for the second time about the meaning behind many of the ornaments. Which leads me to my grandfather. Here he is (with a vintage picture of my mother!). My Papou (grandfather in Greek). Lover of Detroit-made cars, his family, friends, and all things sugar, my Papou was an awesome guy. 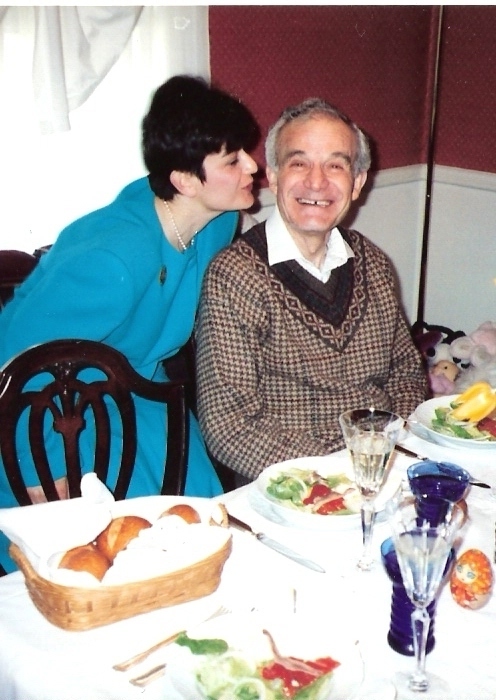 My fondest memories are sitting on his lap and having him tell me story after story after story… Sadly, he passed away when I was five which leaves me with few concrete memories of my own (and many that have been formed from pictures, home movies, and my mother’s own memories). What I DO remember is his fierce love of the St. Louis cardinals (and the bird in general). His love of this team, who were considered underdogs at the time, defined him and we ultimately associated the vibrant bird with my vibrant grandfather. 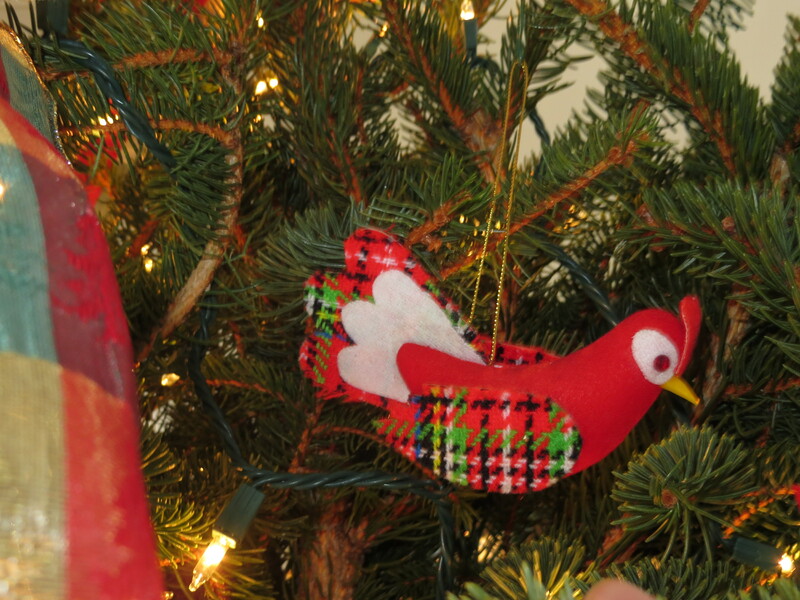 Since he could not be with us for these many Christmases, we remember him by placing cardinals on our tree. Like this delightful fabric cardinal! 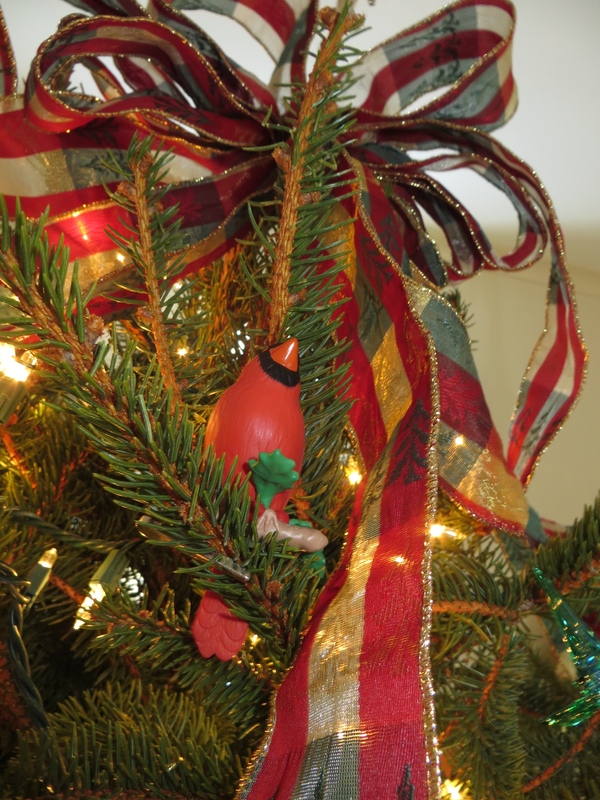 And finally, a clip-on cardinal (not really an ornament, but still wonderful) perches majestically at the top of the tree, watching over all of the holiday festivities. They are small reminders of an amazing man who loved us, the holidays, and chocolate cake. As we dismantle our tree, we shall reminisce and place them back in their tissue paper wrappings and tuck them away for next year… but we always know that out of sight never means out of mind. Wishing you and your family all the best this year. Merry Christmas and Happy Holidays, blog readers! How was your day? Did you have everyone from your neighborhood over for a big potluck supper or a quiet, candle-lit dinner with your sweetie? 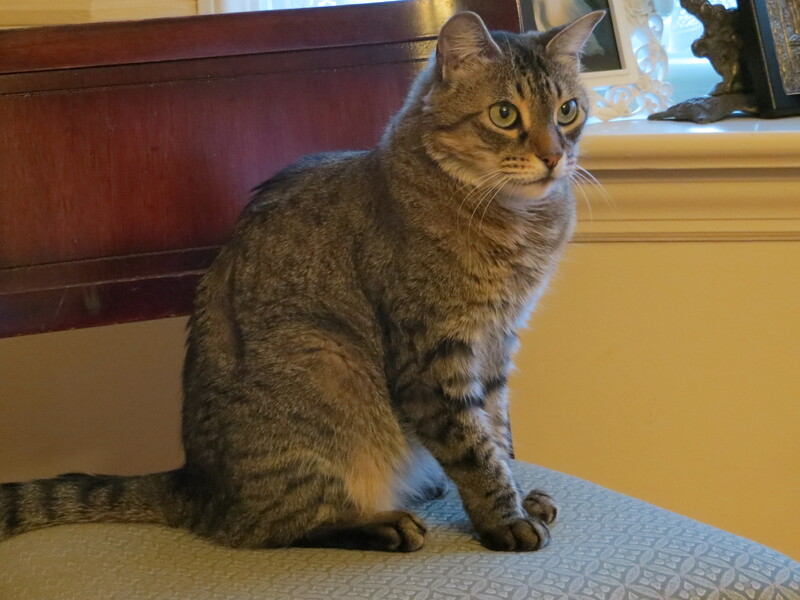 My Christmas is always perfect because it is a time that I can celebrate with my immediate family – Mom, Dad, The Sister (E), The Grandma, and The Cat. 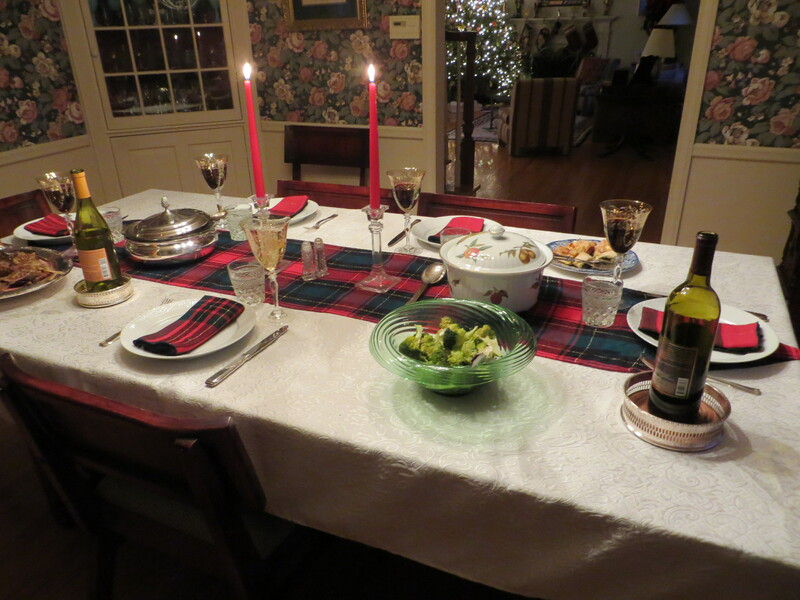 It is the perfect, quiet beginning to the other holiday festivities, like the huge family party in days to come. Throw in a perfectly sunny day and you have the makings of an absolutely wonderful day. Like most families in the world, we wake up super early (except this year we slept late… 9:30AM!) 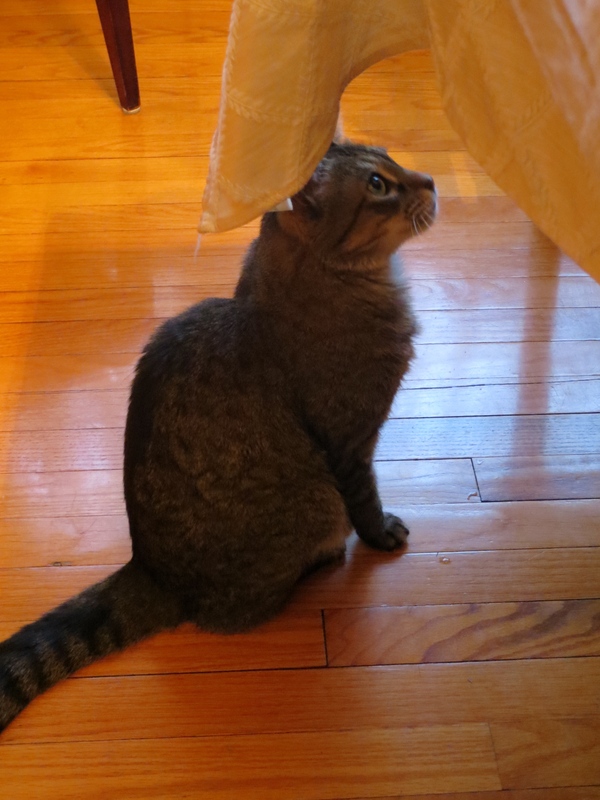 and troop downstairs to take pictures, wrap The Cat in Christmas ribbon (to my mother’s chagrin), and OPENING PRESENTS! YAY!! How pretty does our tree look? And all those prettily wrapped boxes! 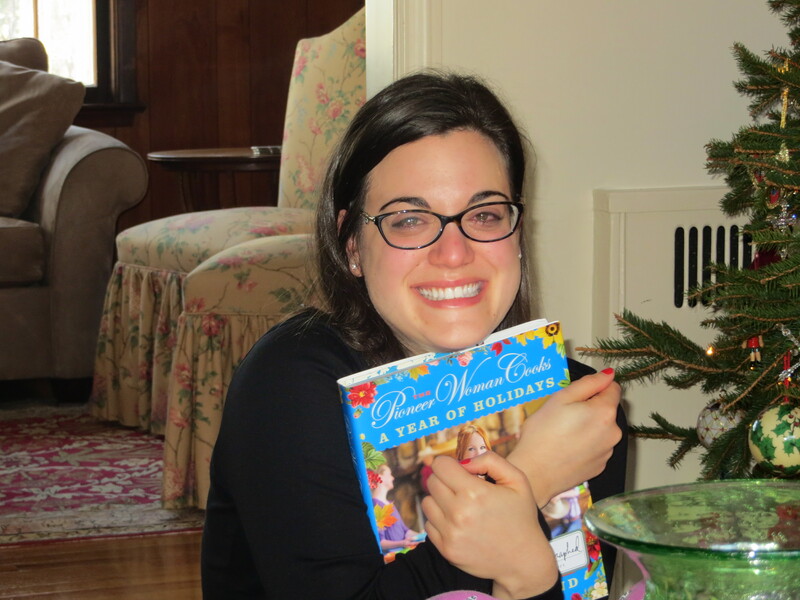 Between the clothing, Christmas ornaments, gadgets, and shoes, I received something so wonderful it brought me to tears. Want proof? Aren’t you glad we are such good friends that I can share unflattering, teary-faced pictures with you? 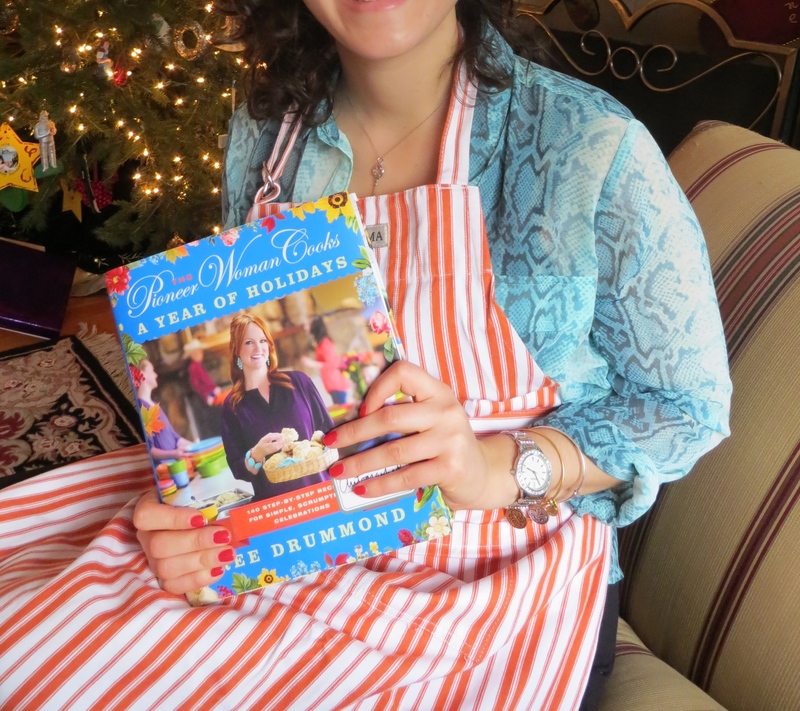 I got the fabulous new Ree Drummond (The Pioneer Woman) holiday cookbook, which was SIGNED. *shriek* As a big Pioneer Woman fan, it was a wonderful gift that I shall be using all throughout the year! Thank you, Santa! Here is a better picture of the cover (and my fabulous new apron in my school’s colors!). 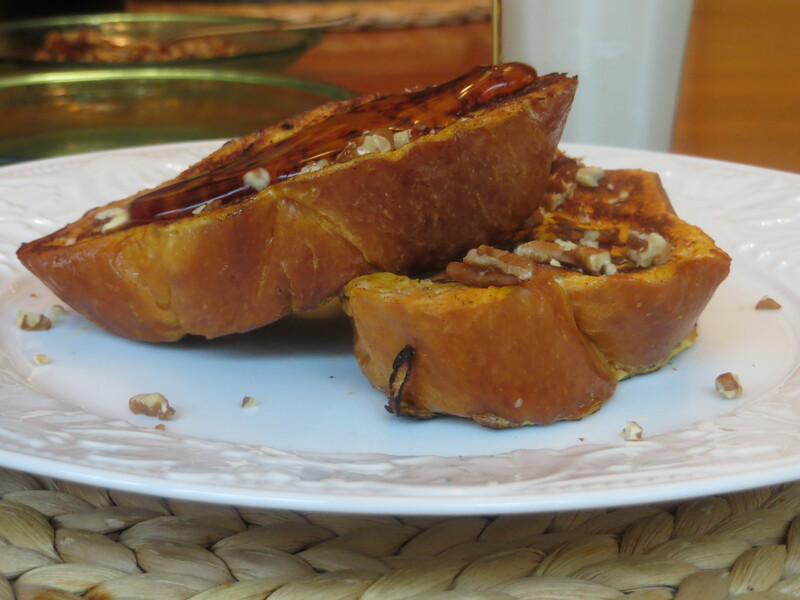 And bacon, but I was too busy devouring it to take a picture. 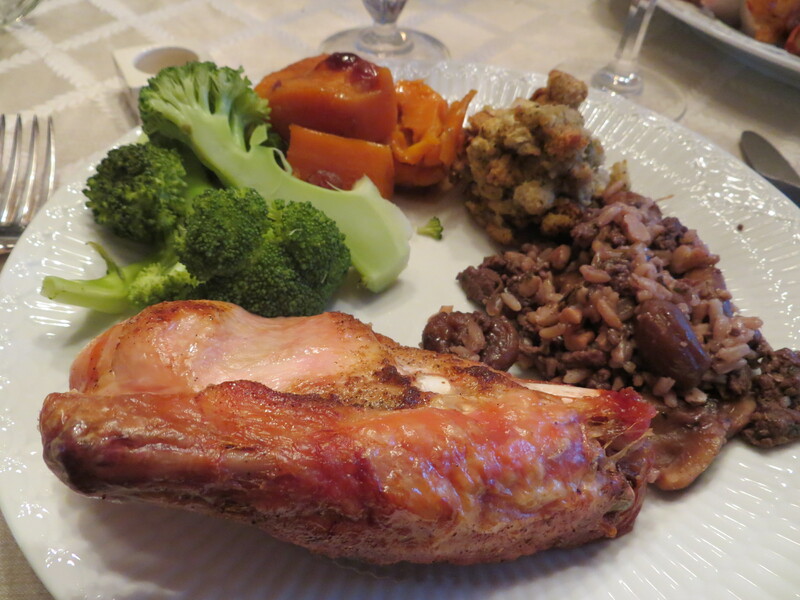 I would also include pictures of our Christmas dinner, but again, I was too busy eating to snap photos. Here is the table… you can see bits and pieces of what we had. If I did take a picture of my plate, this is what it would look like. It would be a beautiful white bone china plate. 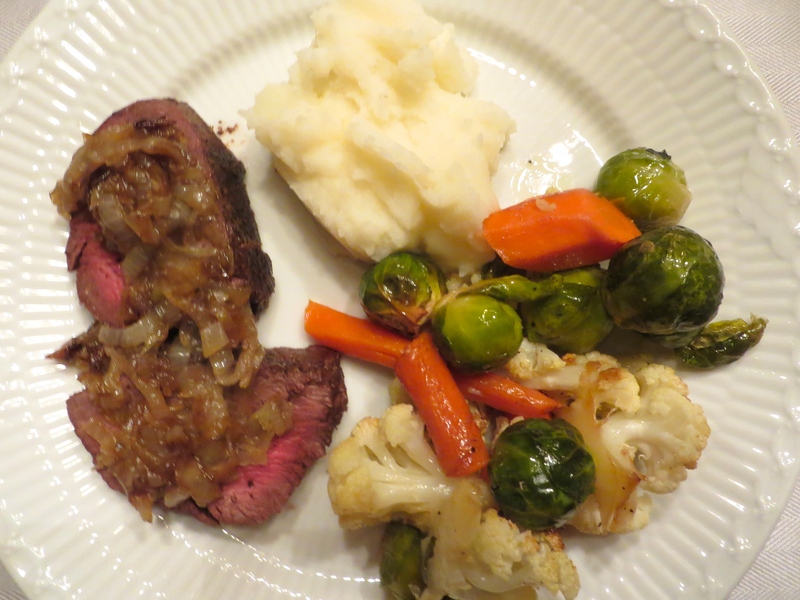 A plate filled with tender beef filet with sautéed, caramelized onions, perfectly steamed broccoli, to-die-for Greek stuffing, and light-as-air mashed potatoes. I promise I’ll snap pictures of it next year… if I remember. All-in-all, it was the best Christmas to date! Being surrounded by my amazing family was the perfect breather during this crazy, busy season (and that cookbook really made my day!). So, blog readers, enough about me – tell me about your holidays! I want to hear all about them! Happy Holidays, everyone! I hope all your days were merry and bright! 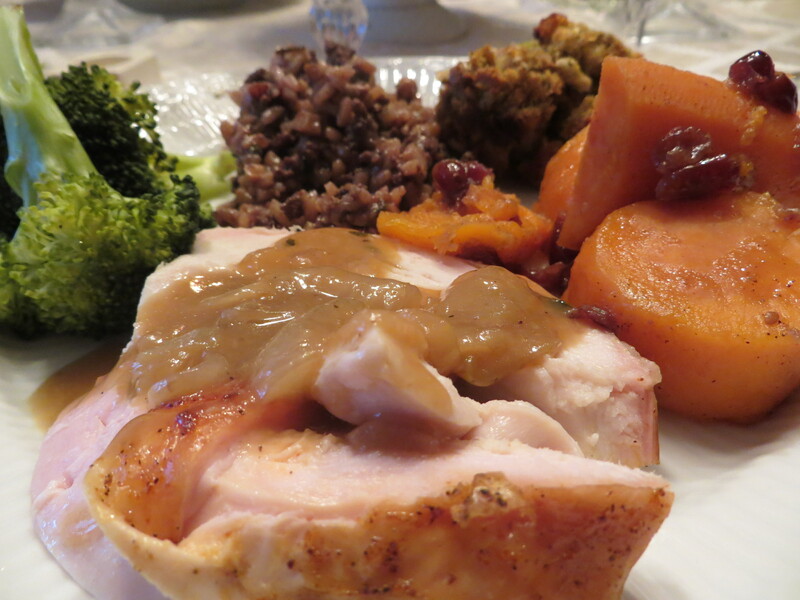 My personal holidays are always centered around family, friends, fun, and, of course, food. The holidays are the time when family recipes are dug out of the corners and crevices of the kitchen and displayed on the family table. 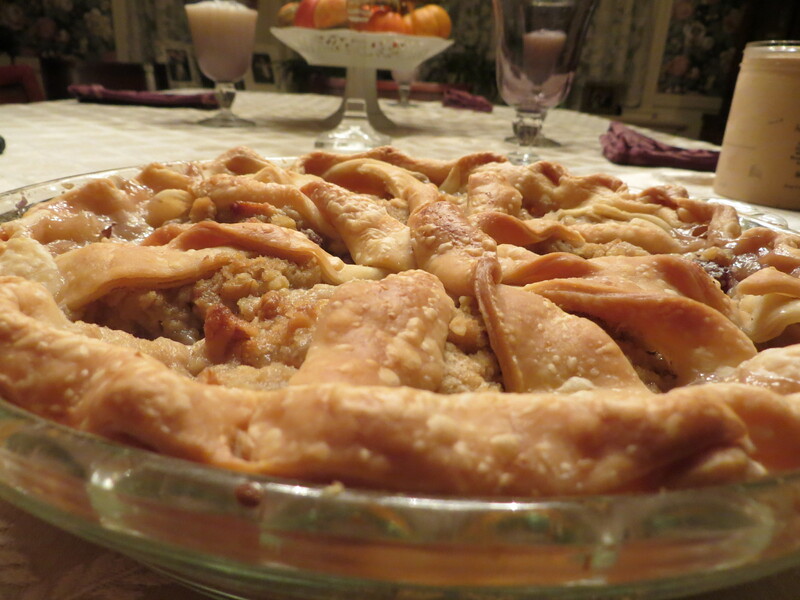 Food traditions not only provide comfort and warmth during this time of year, it also allows the younger generations connect with their ancestors. 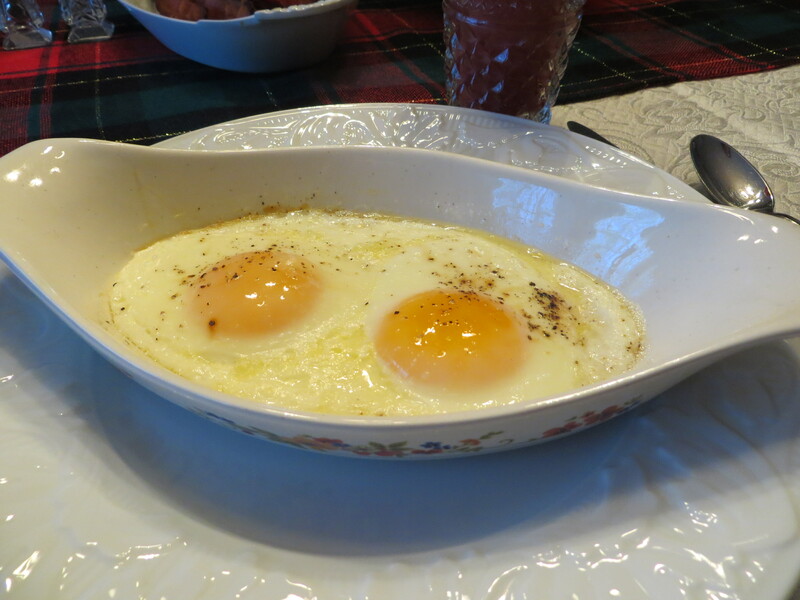 It is almost like documenting a family history through food. The family tradition that I have taken on is the tradition of family cookie decorating. 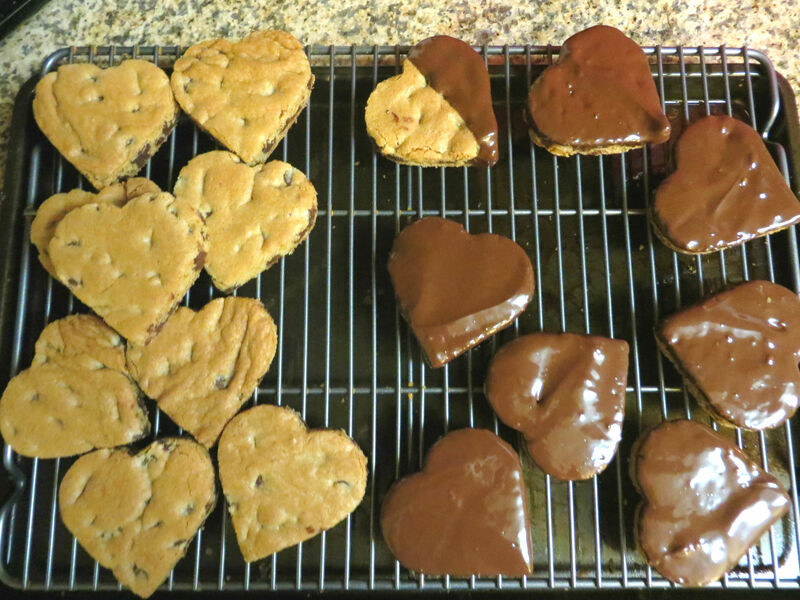 All throughout the holiday season, I bake, frost, and share (and eat) cookies in all shapes and sizes. This year, my aunt came out for a visit so I decided to outsource my cookie frosting to my willing relatives. For the start of the holidays, I made a batch each of sugar and gingerbread cookies and used basic royal icing to decorate them. Cookie decorating parties are fun for many reasons. One, you can decorate a batch (or three) of cookies in a short period of time. Two, it is a great way to bring generations of family together. It was so nice to see my grandmother, my aunt, my parents, and my sister sitting together and decorating cookies. The cookies looked different, the color patterns were a little unorthodox, and the icing skill level was different, but overall they came out wonderfully. The one detraction of cookie decorating parties is that you (as the creative baker extraordinaire) give up complete control over your creations. Yet that lack of control can yield creations many times better than you can create (case in point: my father made Santa bears and my sister created multicolored snowflakes). My recommendation – make a couple of batches of cookies and have a party, saving a handful that you can decorate yourself the way you want to. Decorating cookies with my family was a tradition that I love to help continue. It not only provides opportunities for my family and friends to come together during this holiday season, but also allows them to flex their creative muscles. And the results are always very sweet! What do you think of the new seasonal header?